Text and photos by EDKL Writer A.A.
Good Times Bistro prides itself on taking ownership of all its food. This is an Asian-accented bistro that sources and prepares its ingredients carefully to provide customers with the best experience that it can deliver. If they can make it there and then, they will, and this shows up in all their dishes, including this first one, Good Times' My Mom's Porridge (RM18). 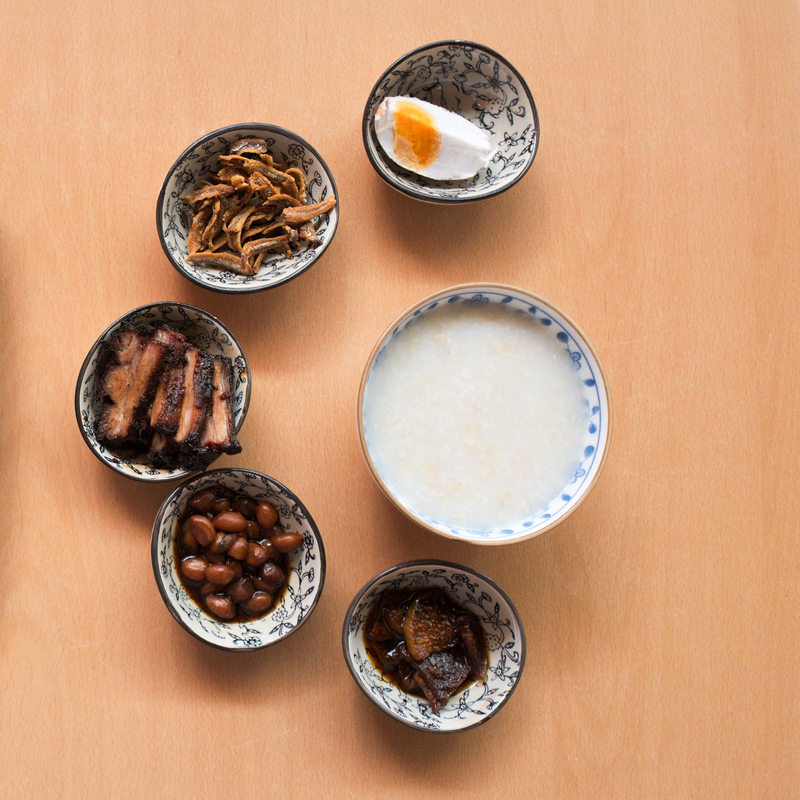 The porridge - not a dish often associated with Mont Kiara - comes with the restaurant’s own-braised char siu, kitchen-stewed daikon, peanuts, anchovies and salted duck egg. Getting all the ingredients and condiments in one bite gives you a complex savoury, crunchy and creamy combination of textures. It's an interesting take on a Malaysian favourite that also comes with one free porridge refill, so you get two servings of the soft, smooth porridge boiled with chicken stock for your money. The salted duck egg is made specifically for this comfort-food dish (note: the restaurant prepares a limited number of about 30 porridge servings per day, which can run out by lunchtime). Even though no other dish on Good Times’ menu makes use of salted duck eggs, the team takes pains to produce them anyway, with thoughtfully farm-sourced eggs marinated for at least one month. The eggs are nowhere near as overpoweringly sodium-packed as salted eggs tend to be and are in fact quite balanced in taste, easily edible even on their own. It is this kind of dedication and quality that Good Times can be lauded for. 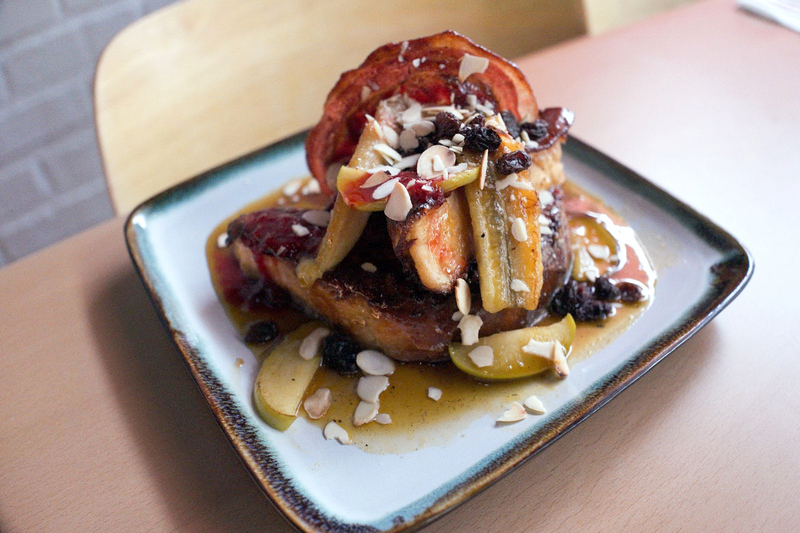 The French Toast (RM25) uses brioche as its base, which is slathered with caramelised bananas and apples, strawberry coulis sauce, almond flakes and raisins. It is topped off with applewood-smoked pork bacon for a heap of goodness. These all sound like rich ingredients but they come together to form a sweet and savoury, pleasantly chewy experience that won’t overload the senses, even though it looks like it should. Something to squeeze in at brunch, or even to end your day with. Next comes the Braised Pork Belly (RM32), mirin-marinated and cooked to beautifully layered perfection, fatty and fleshy, coming out flavoursome, sumptuous and succulent - if there is an equivalent to a tenderloin steak when it comes to swine dishes, this is as close as it gets. 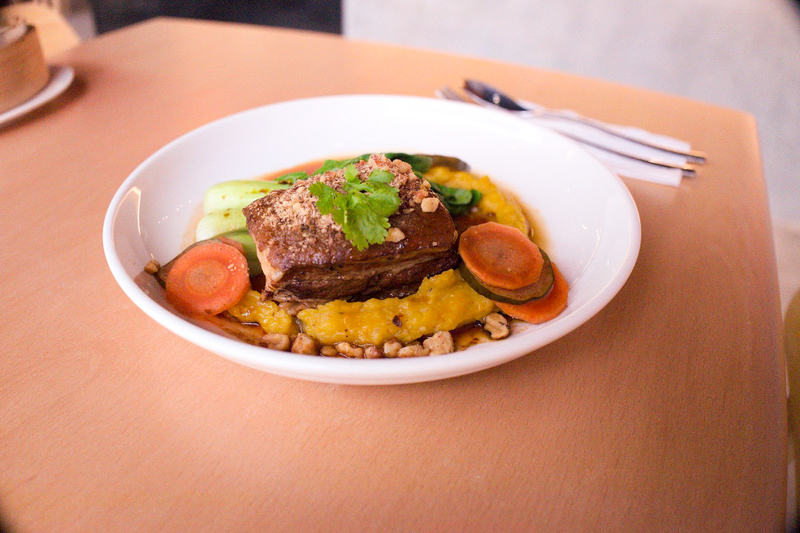 The pumpkin and potato mash helps to accentuate the rich flavours of the meat. 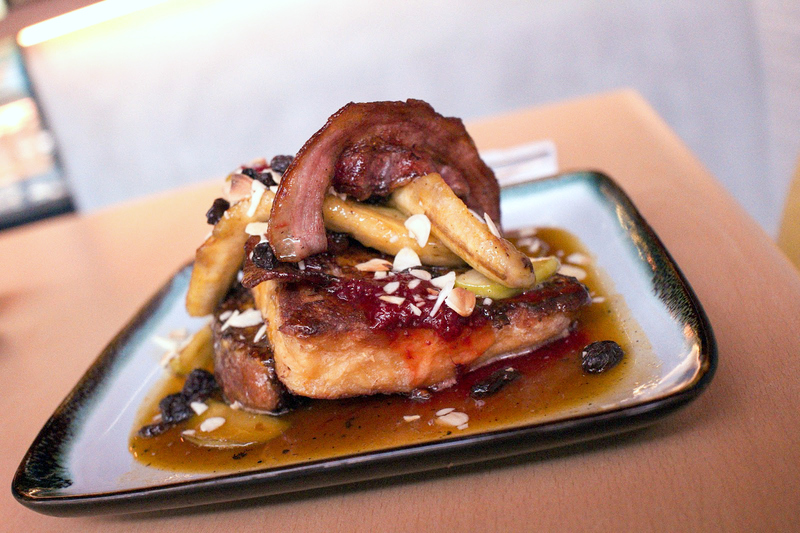 All in all, a real stand-out that should be a hit with pork lovers. The Pulled Pork Burger (RM32) is delightfully decadent too. 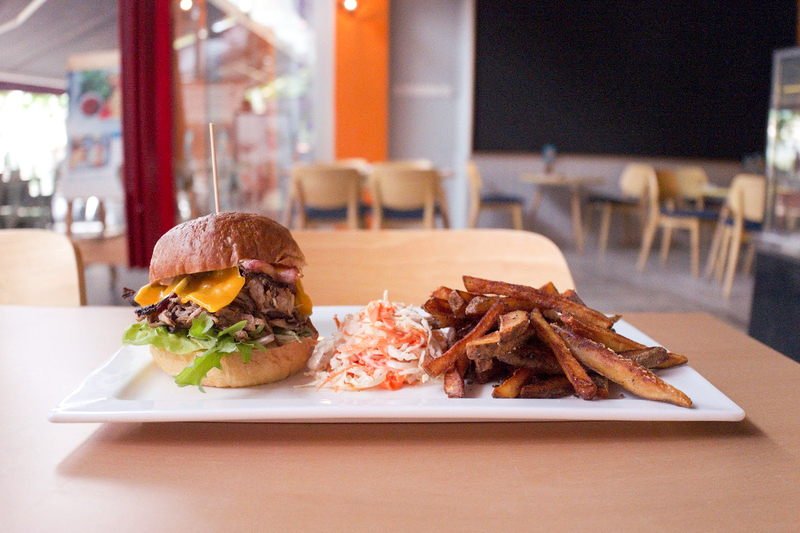 The pulled pork serves as the meat of the burger in place of a traditional patty; it’s tender and easy to rip apart. The bun is fluffy and crisp. Topping it off with bacon is a nice finishing touch, bringing in a chewy dimension that’s more savoury than the pulled pork. The fries on the side are also extremely addictive; they're triple-cooked and prepared by Good Times, naturally. 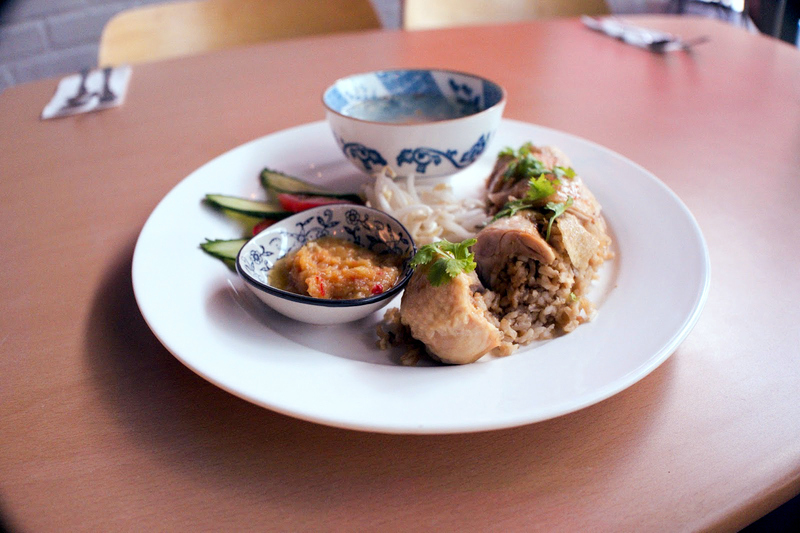 The Chicken Rice Roulade (RM25) is a unique East-meets-West interpretation of what makes a chicken rice recipe. The rice is stuffed into slices of chicken leg meat that are then rolled up together - it feels like there's more chicken here compared to the typical chicken rice, which would be good if you like a lot of protein with your rice. Additionally, the chilli sauce is Good Times’ own recipe that comes with a real kick; the spiciness just explodes in your mouth a split second after it enters your mouth - it also features a special hint of pineapples for a tangy punch. The soup served with the roulade tastes fresh and healthy, though with relatively less flavour to its name. The Organic Pumpkin Floss Mantau (RM14) is a Taiwanese-inspired snack that needs to be eaten hot - we left this alone for awhile as we tried the other dishes, which might have affected the texture of the thick steamed buns. 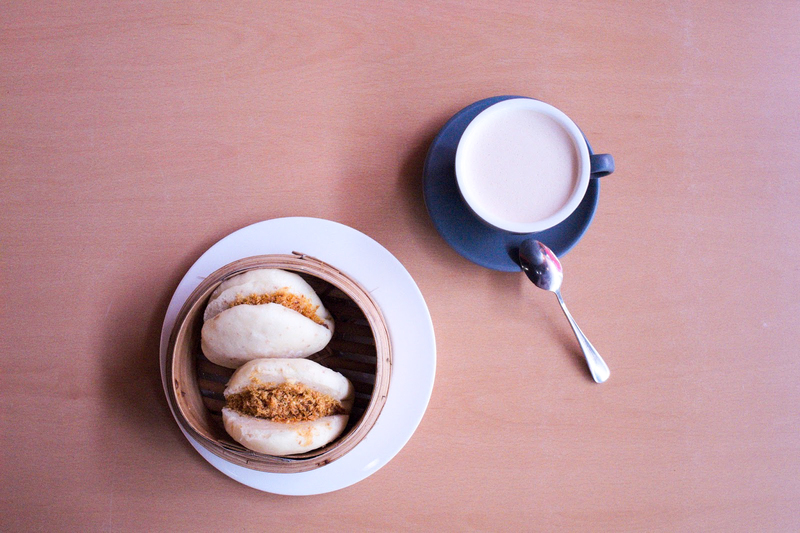 This dish comes with complimentary milk tea, made on the spot - it goes down smooth and creamy. We finished off our extravagant weekday brunch with a Deconstructed Kuih Ketayap (RM15). 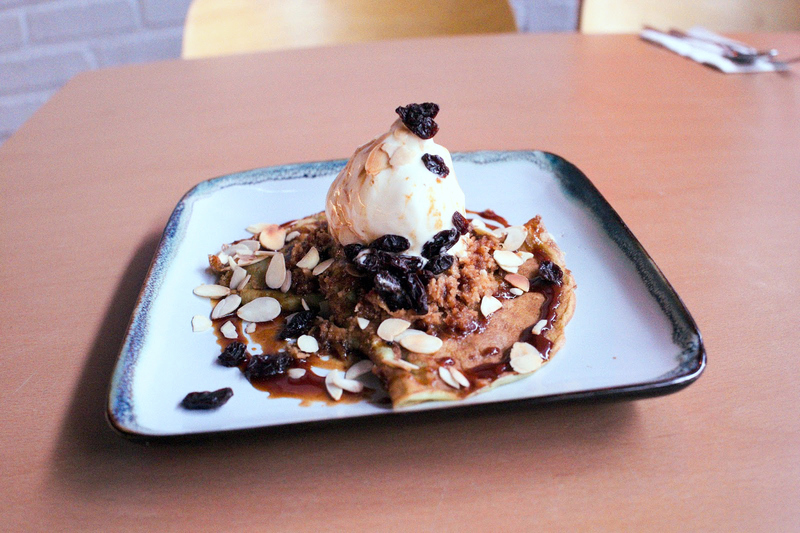 It looks like a pancake or crepe that's served with ice cream, but the base is quite a bit mushier than those, simulating an actual kuih ketayap both in texture and flavour. With the ice cream oozing all over the foundation, this dessert is pretty gooey by the time it enters your mouth. You could practically swallow it whole. For drinks, we had Good Times' own Arisplato Dutch Coffee (RM12), with the name paying tribute to two classical Greek philosophers. The coffee is the result of 10 hours of slow-dripping and fermentation in the fridge for two to five days to bolster its body and aroma. The milk coffee has a refreshingly nutty aftertaste that lingers, while the Americano is easy to enjoy chilled. 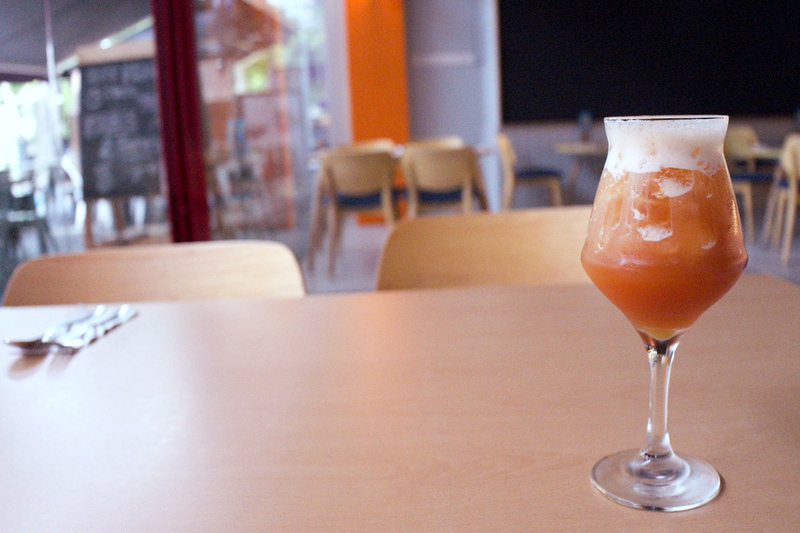 I'm Not Beer (RM15) may look like a craft beer, but it’s an innocuous mocktail that mixes Earl Grey tea, passion fruit and honey to produce a slightly sweet concoction that is real smooth. 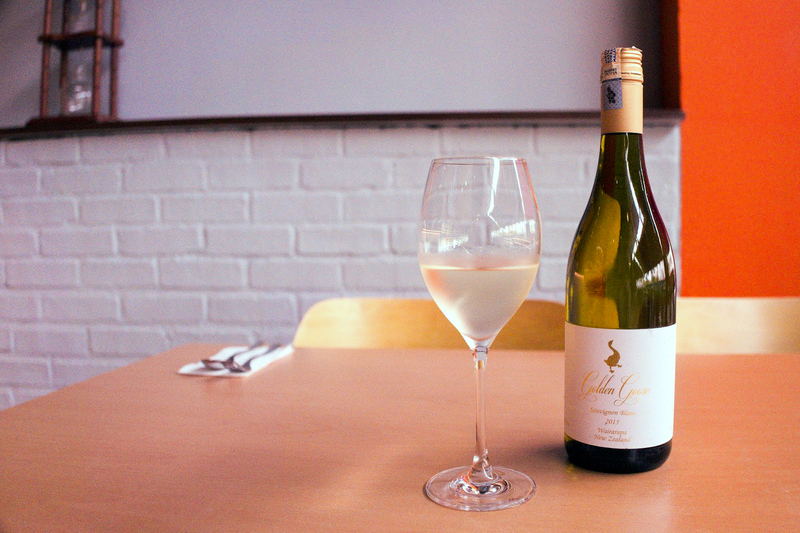 And last but not least, we had some New Zealand Golden Goose White Wine (RM25 glass/RM120 bottle). Smooth and light, perfect for the hot days we're going through here in Malaysia. All in all, we had a good time - true to the restaurant’s name. The place is warm and inviting, the staff members are friendly, and there's a lounge upstairs if you want a bit more privacy. There's even a play area for kids, which we initially mistook for a storage area. It has toys and tiny kitchen utensils for the little ones. Thank you Good Times for having us! Good Times Bistro is the sister restaurant of Good Friends Cafe in SS15 Subang. That a French toast! Wowwwww!!! That looks our of this world. They're off to a good start with a name like that! The Yum List: good vibes! Aha! I am just housesitting in the same vicinity. Will drop by.